In a John Deere commercial we see how a customer receives an eye opening statement from the salesman: “It’s not how fast you mow, it’s how well you mow fast”. What follows is a hilarious repeat of the same statement in various unrelated situations. My favorite is probably the coach shouting “it’s how well you mow fast”, making it sound like it could really work as a rally speech. While this seems to be just another smart advertising slogan that will likely be associated with John Deere products for some time to come, it is actually an interesting process statement as well. 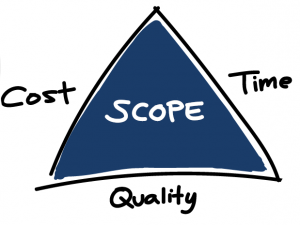 When you think of quality vs. speed vs. costs, the company is simply claiming that they can achieve high(er) quality in less time. We’re not sure about the cost comparison but I assume they are not looking for low cost buyers. Most likely these commercials are positioned to interest home owners to upgrade from a push mower to a riding mower to mow faster, better (or is it better, faster?). It got me thinking how this slogan could relate to translation productivity (why not?). From a translation industry perspective we have technology and tools that enable us to work more efficiently at higher quality. But is it there to enable us to translate faster? In the ten years that I’ve been a part of this industry, the yardstick of translation output has always been on average around 2,000 – 2,500 words per day from a professional translator and around double that of an editor. This has not changed in the last decade despite many technology improvements. And so far, we have not seen many professional translators that contact us for work who have jumped on the Machine Translation (MT) bandwagon for increased productivity. I haven’t seen any professional translator come to us claiming they output 10,000 words per day using MT + Post Editing even though we do work with translators who provide Post Editing Services. 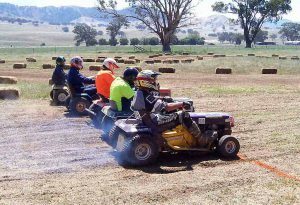 Lawn mower races, it’s a thing. Thinking back on that slogan “it’s not how fast you mow, it’s how well you mow fast”, one critical process question that kind of ruins it for me is “why”? Why do we need to mow faster? Studies suggest that mowing lawns is rather therapeutic and relaxing, so why would we want to be done with it quickly? There is also the question of whether mowing any faster is really all that safe. However, for those home owners who want to get the job done fast themselves without compromising quality, the slogan combined with comparable product benefits will certainly be a good selling point. It made me think as to why hasn’t the industry necessarily seen the push for higher translation productivity from translators. Part of this could be that translators will more likely tell that translation is a work of art rather than something that could standardized. Part of it is also the type of projects that we do. If you are an organization looking to push out publications of vast amounts of words globally every day, translating faster, better would be probably high up the metrics list. However, for most of the work that we specialize in, our focus is on attention to detail and the messaging and using the right team for the job. While we certainly have the capabilities to tap into Machine Translation technology and translation databases, we don’t really tend to use it unless we absolutely need it. And this is after considering using a group of translators along with one editor to increase translation productivity. This need for translators specializing in full-time Machine Translation Post Editing may come, but it will likely not be for the same types of jobs. Rather, I see it more as an opportunity for growth in areas that before were not considered using professional translations. Where I have seen translation technology going for the last 10 years is that it is making translation quality management more effectively. We’re not necessarily translating faster, but we becoming more efficient at translating better. Wait, that sounds like we are translating faster, better… But really what we are looking at is that translators have more access to technology that can help them to get to a more consistent quality result. 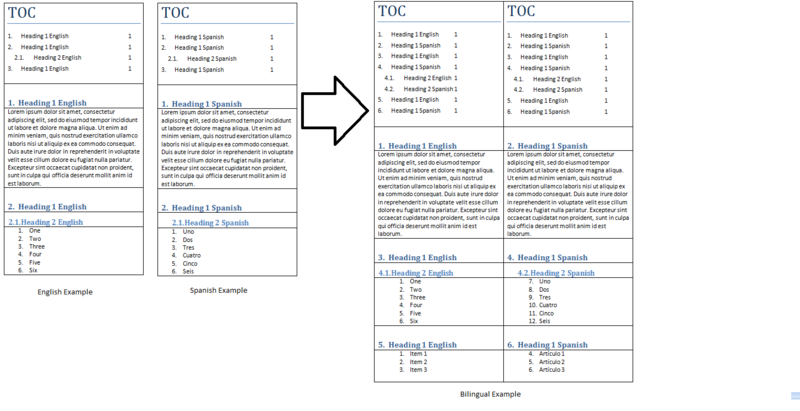 For instance, Terminology Management used to be manual glossary work. We’re still in the process of creating glossaries, but technology now enables us for translators to have glossaries predicatively generate words for them instead of having to look it up (whether that is physically look it up or having to remember). In my experience, I feel that this has enabled translators to do more quality work in the same amount of time rather than doing more work in less time. In fact, you may even say that translation technology allows translators to spend more time on their art rather than on the standardized part of their work. I’m not sure though whether the translation profession really views translation technology in this perspective, but it’s undeniable that as humans we have our limitations when it comes to balancing productivity vs quality. While it seems that our industry is developing towards a path that makes us require to translate “well”, faster, I don’t feel that this is necessarily a threat to the profession. I rather see it as an extension of our capabilities to separate the standardized work from the work that requires the capabilities of a human professional translator. The ability to use translation technology should not be confused with an absolute need for higher translation productivity. Just because you could translate faster, does not necessarily mean it needs to be translated faster. Maybe it’s just nice to know that we can, if we must.